The cheapest and costliest communities in Dubai in the second quarter 2016 are International City and Palm Jumeirah, respectively; while the maximum annual decline was registered in Business Bay, the minimum was in Discovery Gardens, according to MPM Properties, the real estate advisory subsidiary of Abu Dhabi Islamic Bank (ADIB). The cheapest studio, one- and two-bedroom units were available in International City. Average annual rents were Dh37,000, Dh48,000 and Dh70,000, respectively, the consultancy said in its latest report. The costliest studio, one- and two-bedroom units were in Palm Jumeirah, with average annual rents being Dh88,000, Dh123,000 and Dh165,000, respectively. The maximum decline year-on-year was witnessed in Business Bay, with rentals falling 5.93 per cent. Annual rents for studio, one- and two-bed units were Dh66,000, Dh84,000 and Dh118,000. 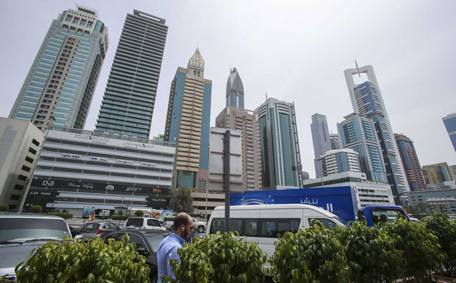 The second biggest decline was seen in Jumeirah Lakes Towers, which registered a 5.69 per cent decline year-on-year. Lease rates for studio, one- and two-bedroom units were Dh64,000, Dh85,000 and Dh120,000 per year, respectively. The third largest annual decline was seen in Greens, registering a 4.76 per cent drop. Studios were available for Dh68,000 per annum (pa), on-beds for Dh88,000 pa and two-beds for Dh130,000 pa. The least yearly decline was witnessed in Discovery Gardens, where rentals fell just 0.67 per cent. Annual rents for studio, one- and two-bed units averaged Dh49,000, Dh70,000 and Dh93,000, respectively. During the second quarter, average residential rents (apartments and villas) dropped marginally by one per cent, with an equivalent year-on-year fall of four per cent. Overall, the decline for apartment rents was comparatively higher in non-freehold areas at five per cent, while freehold areas showed a three per cent decline despite increases in new supply. Sales prices, however, remained stable during the second quarter with the off-plan residential market remaining buoyant with the launch of over 4,000 new units (villas and apartments) across 20 new projects. Around 70 per cent of the launches were in the price range of Dh850-Dh1,100 per square foot with developers continuing to offer incentives, including post-handover payment plans helping to maintain healthy absorption rates. Paul Maisfield, CEO, MPM Properties, said: “With the launch of so many new units in the second quarter, there is no shortage of choice for buyers in Dubai. But with more people seeking to get onto the property ladder to achieve long term capital appreciation and relief from the vagaries of renting, the effect on prices is relatively neutral. Two reports released earlier this month contrasted in their views with a propertyfinder.com survey stating that only 30 per cent of residents had bought property in the country, while the remaining 70 per cent were still renting, and compareit4me.com, a finance comparison website, pointing to salary earners of between Dh8,000 and Dh19,999 per month showing interest in owning properties in the emirate.